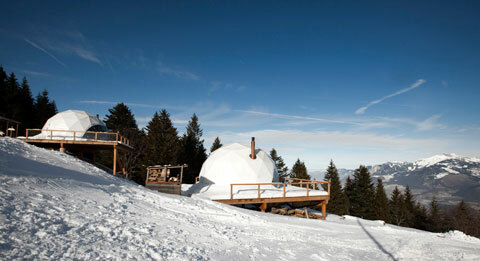 Of course, they are there – the fancy hotels in the mountains. 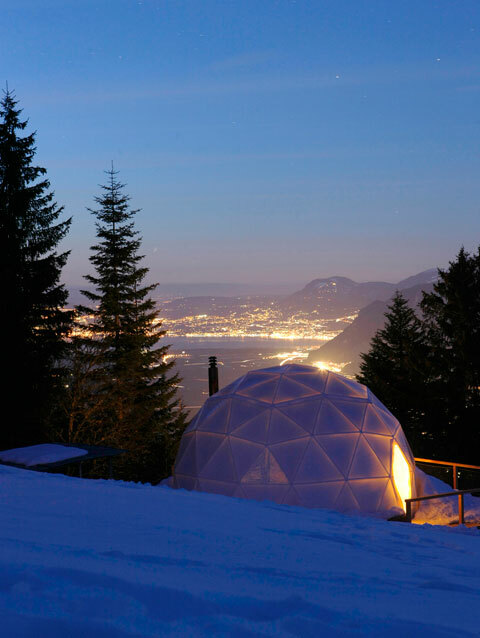 But today we want to show you a really different hotel: "Whitepod Resort" in the Swiss Alps, above Monthey, in the canton of Wallis. 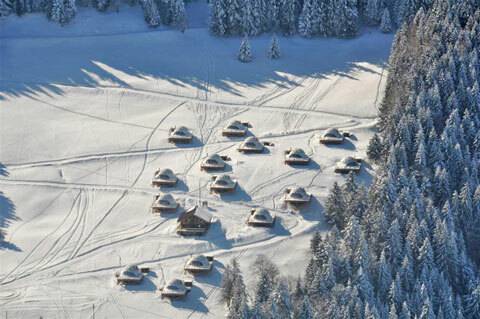 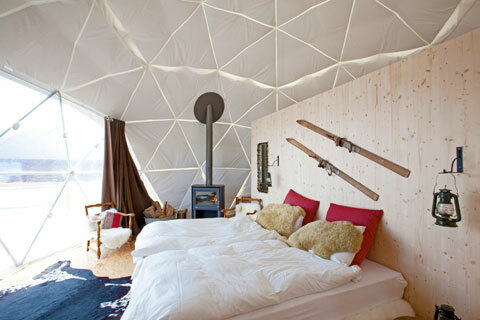 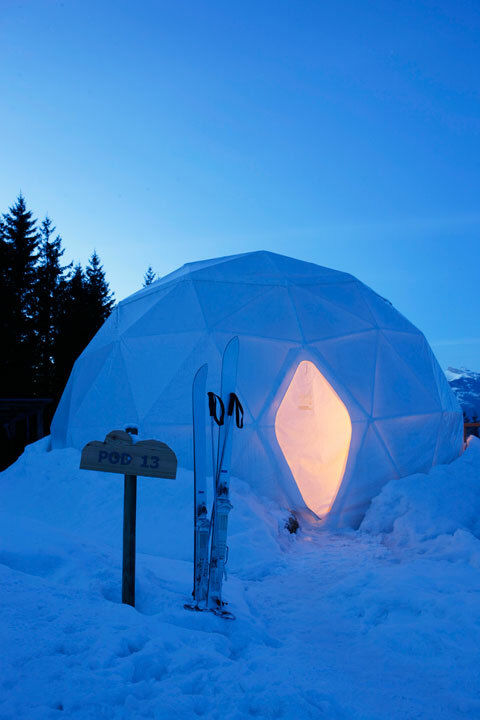 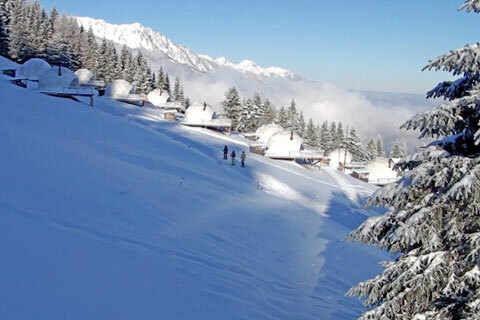 The hotel is built according to a bungalow concept: there are numerous little igloos strewn around the landscape. 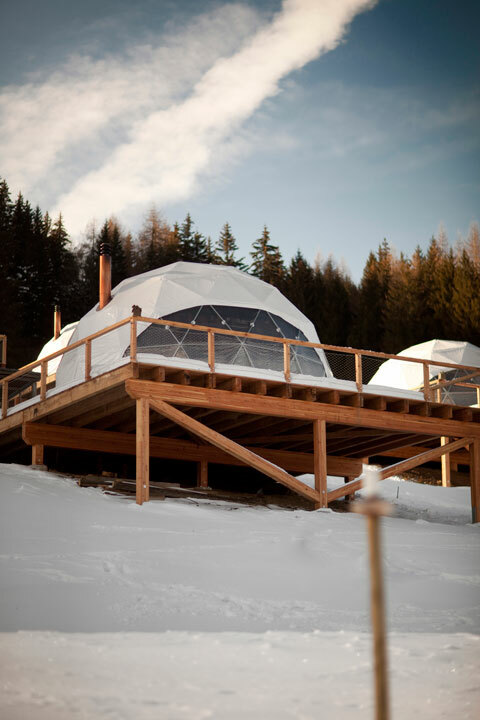 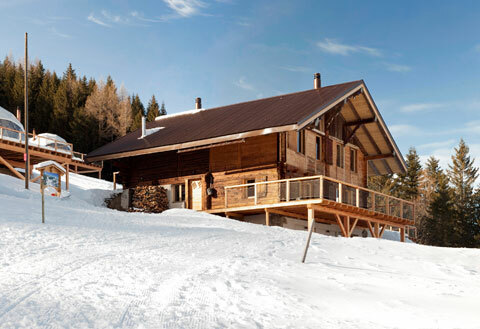 The luxurious and self-sufficient suites give the impression of a camp site above the idyllic mountain village of Les Giettes. 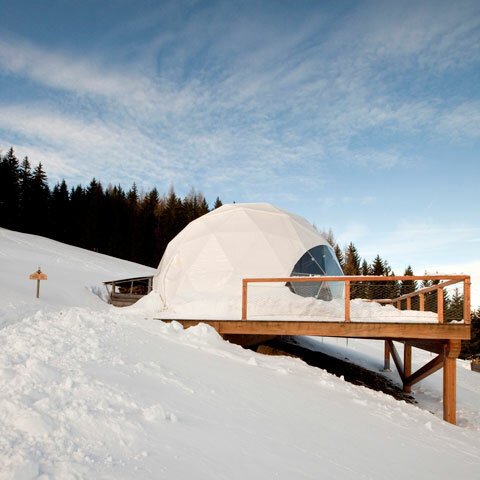 The 15 Whitepods are grouped around a traditional cabin, which houses the reception. 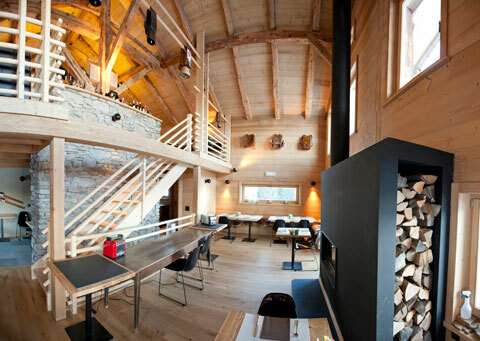 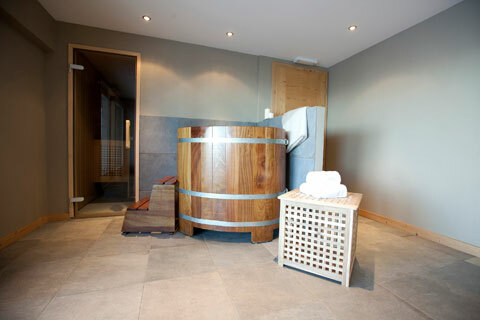 There is another cabin containing the restaurant, a conference room, spa and lounge area and around 80 bunks. 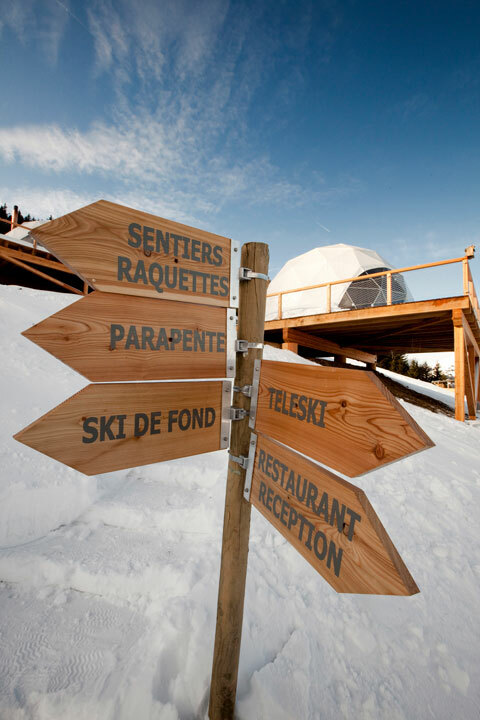 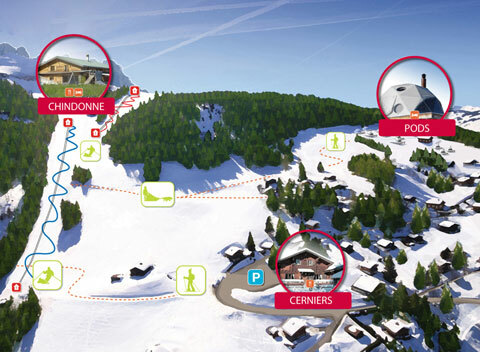 There is a skiing area very close to the complex, and all that snow means that the camp can only be reached if you are wearing ski shoes or by skidoo. 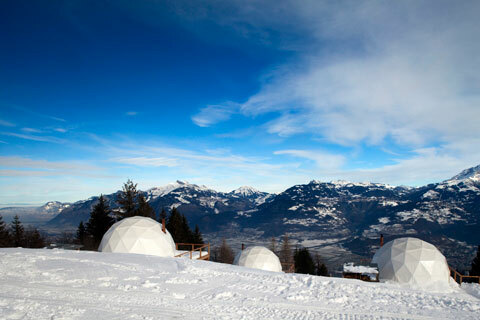 Each of the "pods" has 40 square meters of floor space. 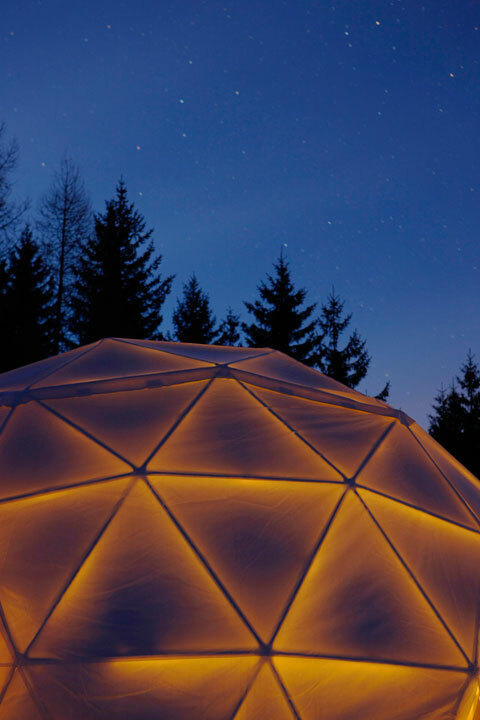 The shell is made of a special polyester fabric, which was originally developed for space travel and is incredibly insulating. 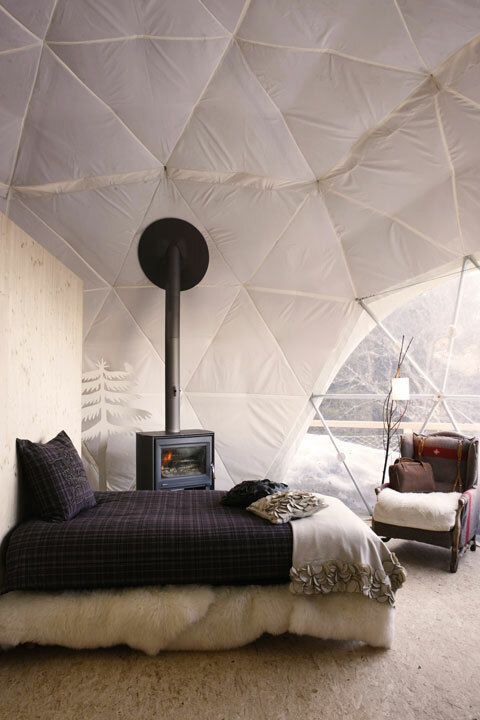 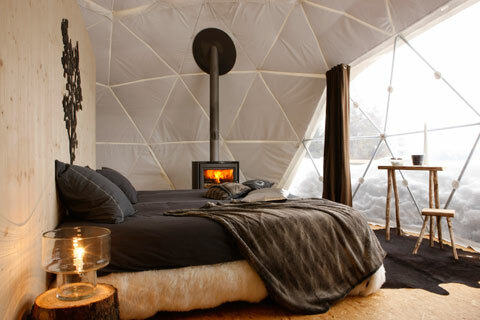 Combined with the stove and kerosene lamps, the atmosphere in the igloos is pleasant, cozy and warm.